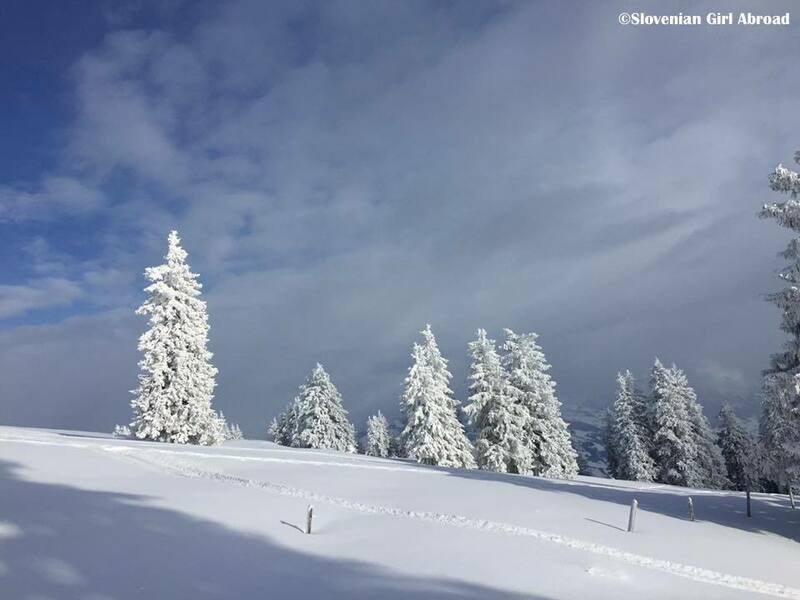 “The Queen of the Mountains”, as Mount Rigi is sometimes nicknamed, is a popular destination to visit in all seasons. I have already been there in the summer, but never in winter. Somehow, I always considered Rigi more as a summer destination, ideal for hiking and other summer activities. I haven’t really thought about it as a place to go to do winter sports. 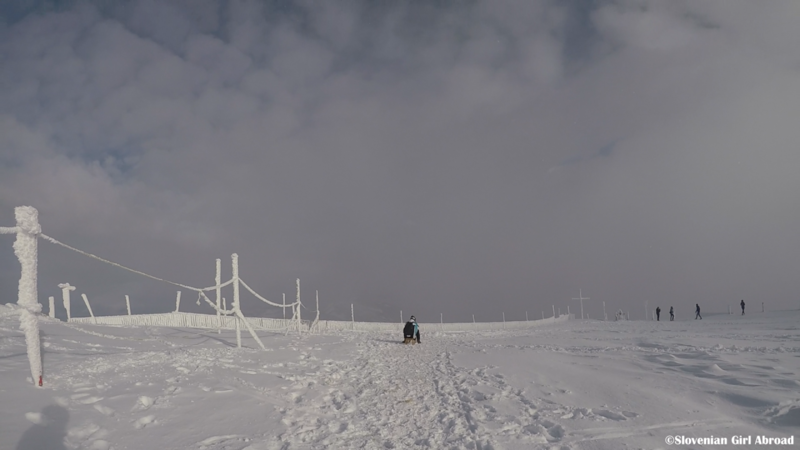 For that reason, I was pleasantly surprised when I found out that there are five sledging trails of varying difficulties in total length of 10 kilometres at Rigi. Previous weekend all of those tracks were open and snow conditions were ideal: 40 cm of snow. 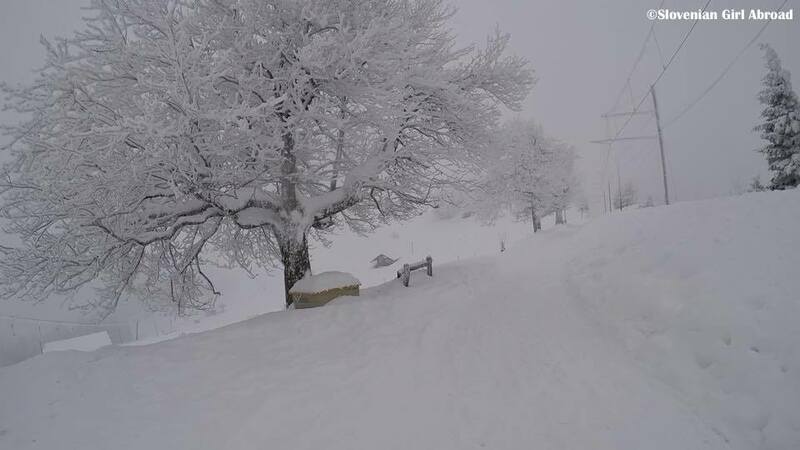 Without hesitation, my hubby and I chose to go sledding to Rigi. As usual, we travelled to Rigi by car. After 30 minutes drive from Luzern, we arrived to Weggis, little town by the Lake Luzern (Vierwaldstättersee) where the lower station of the gondola can be found. 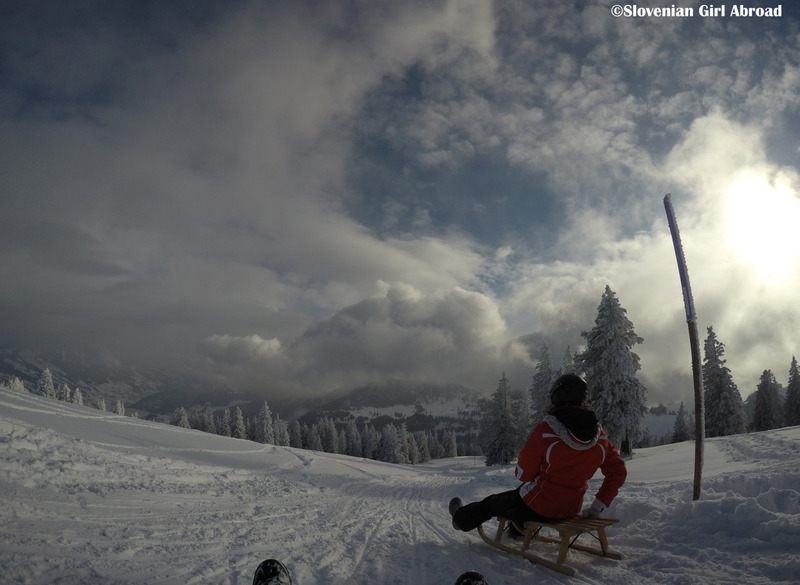 We bought our sledging day-passes and ascent to Rigi Kaltbad at 1453 meters altitude. At Rigi Kaltbad we’ve rented our sledges at Rigi Sport Kiosk by the railway station. 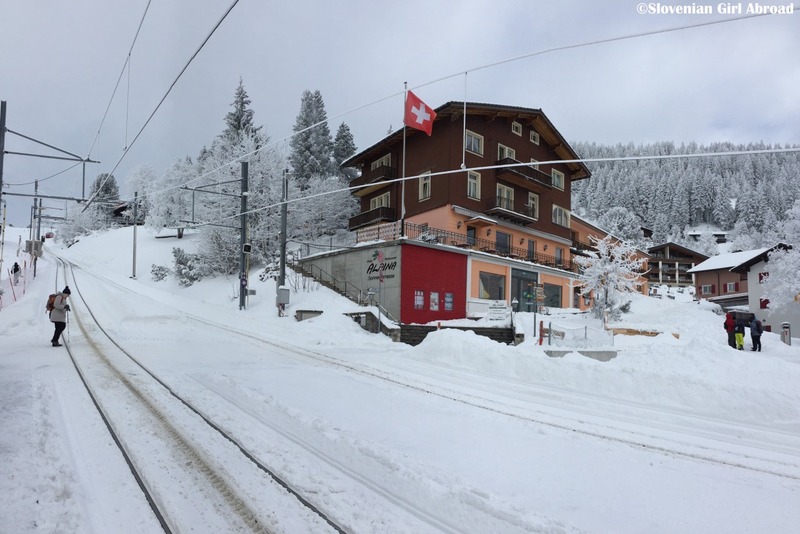 Prepared for the sledging adventures, we’ve boarded the boarded the mountain train to the top of Rigi – Rigi Kulm at the altitude 1,798 meters above sea level. We’ve shared the coach with a group of Asian tourists who probably saw snow for the first time. They were super adorable when they were observing snow-covered landscape. 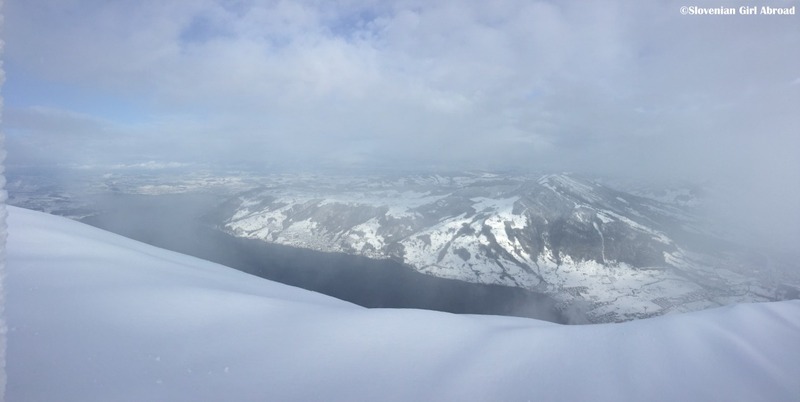 At Rigi Kulm, we walked to the highest point of the summit to admire the views from the top. Despite the light fog, they were as amazing as we remembered them from our previous trips. When we’ve found the start of the trail no. 1, we’ve hopped on the sledges and the fun began. The trail we sledged from Rigi Kulm to Rigi Klösterli was ideal: it was long, had several interesting turns, descents and great views. It took us about half an hour to sled down to Klösterli train station where we took the train back up to Rigi Kulm. It was rather cold outside, so we’ve decided to warm ourselves at the restaurant of Rigi Kulm hotel. Of course we couldn’t resist ordering their delicious apple strudel with vanilla cream. As many times before, it was delicious. By the time we left Rigi Kulm hotel, it started to snow. The snow-covered landscape turned even more beautiful when the snowflakes were falling on us. Real winter wonderland. We’ve sledged down the sledding trail no. 2 to Rigi Staffel. Because we wanted to return to the valley the same way we arrived, we continued our way back in direction of Rigi Kaltbad. First, we walked the snowy walking trail to Rigi Staffelhöhe. 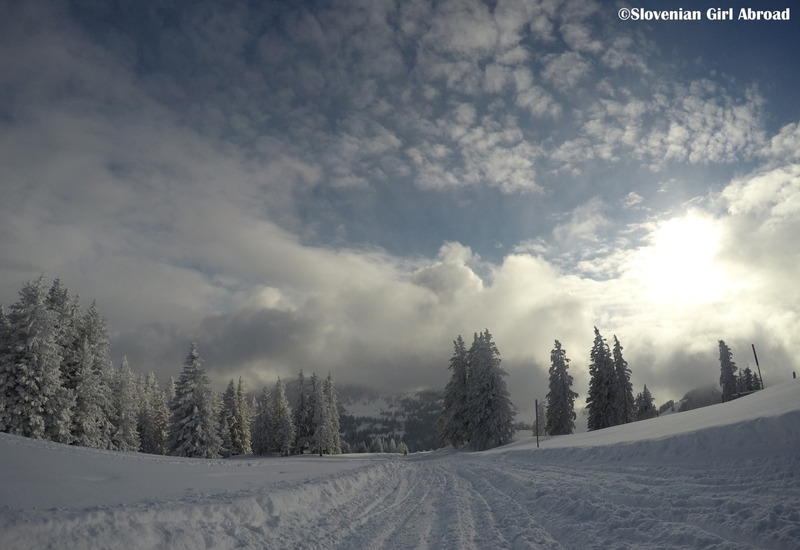 There we’ve hopped on the sledges once again and sledge all the way down to the Rigi Kaltbad. 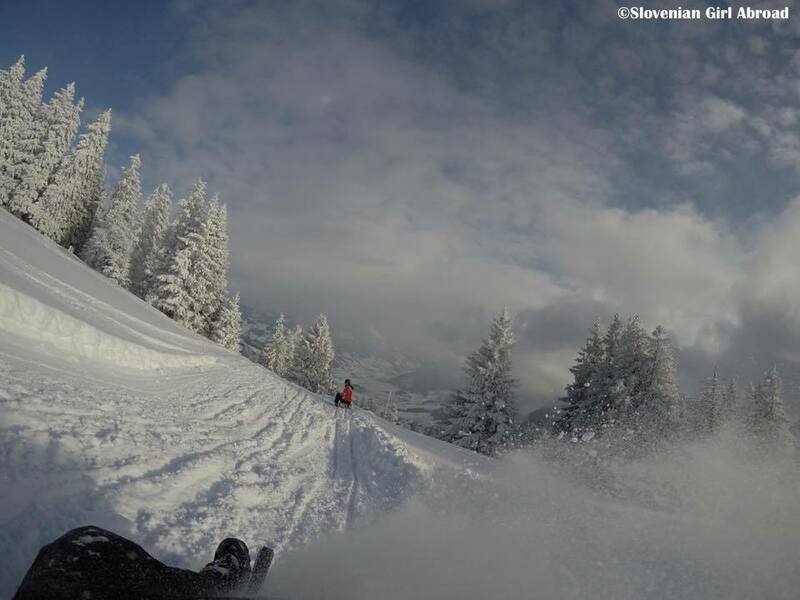 At Rigi Kaltbad we’ve returned our rented sledges. Tired, but happy that we’ve spent another amazing day at the snow, we’ve boarded the cable car and returned down to Weggis and from there back home to Luzern. HOW TO GET TO Rigi? Tip: If traveling by public transport, I suggest purchasing RailAway combined offer. Looks so fun! I want to go. Looks like a great time! Great video. Thanks. I felt like I was right there with you. It looks so, so beautiful! ❤ Love it. I'd have loved to spend some days there myself. 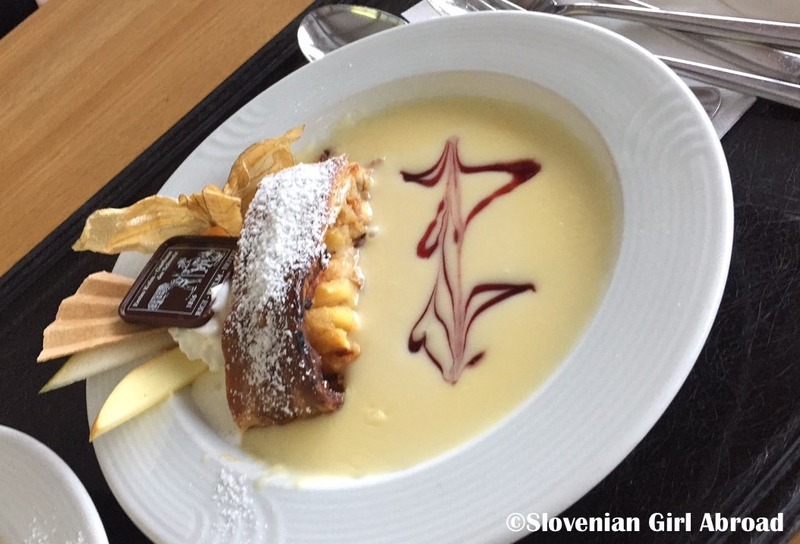 That apple strudel looks so delicious and such a treat after sledging around Rigi! This looks like amazing fun and your photos are stunning too! We rarely get snow where we live in the centre of England. I can’t really remember the last time I went sledding. Thank you Sally-Jane. I feel you, when I used to live in London I missed snow and snow related activities so much. I’m hoping and praying for some quality snowfall here this winter. I can’t wait to take the kids sledging. As our eldest toddler is also doing his indoor ski lessons at the moment this post has also got me excited for my February trip to Italy. Thanks for joining us in #adventurecalling . I hope you can again tomorrow. Amazing! No wonder they call it Queen of the Mountains. Whoah, that looks absolutely divine! What an excellent winter trip!! That is some serious sledding! Add in apple strudel and it looks like it was the perfect day! I’m envious. I’m planning a trip to Switzerland in 2018 (my first time!) and came across your blog on the The Weekly Postcard linkup and now I can’t wait to dive in to your posts! This sledding trip looks like a lot of fun and that apple strudel looks absolutely delicious!!! So pretty and the stredel sounds like a great way to warm up. I can’t believe how much snow there is there! Thanks for sharing on #TheWeeklyPostcard.